Thaqafi Tulkarem netminder Rami Hammadeh is the flavor of the month after his fine performances for the Olympic Team but this is Ramzi's team. Whatever murmurs existed about the captain's decline were quashed earlier in the year when he conceded a solitary goal against Qatar, Saudi Arabia, Kyrgyzstan, Myanmar, Maldives, Afghanistan and Philippines. Yes, Saleh conceded five times against Chinese Taipei and India but he probably made his own fair share of saves as well. In any case, the keeper posted a clean sheet against Pakistan- one that helped Palestine win their third game on the trot (and seventh game of the year). For whatever reason, Palestine seem incapable of playing expansively without exposing themselves in the rearguard. 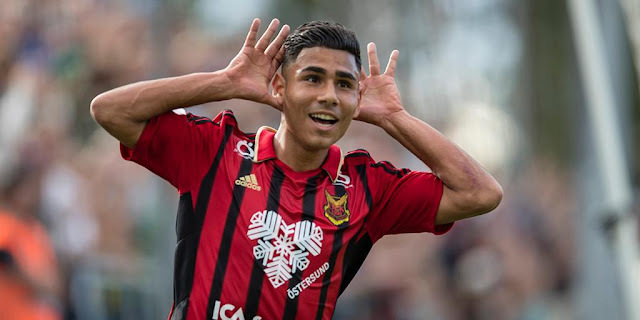 This isn't necessarily a bad thing, the tactical wrinkle's best iteration has come with Murad Ismail and Khader Yousef playing alongside each other- both of whom scored winning goals this past week. If the aim is to get the best eleven players at the same time, then the double pivot seems the way to go. Here's a fun exercise- pick any team amongst this year's World Cup finalists and compare the roster in their final qualifying game to the one fielded in Brazil. You would be shocked to see some of the changes that happened in less than a year. Lucas Neill didn't captain Australia, Samir Nasri didn't feature for France, Landon Donovan was mercilessly axed by Klinsmann, and Ever Banega's starting role for Argentina in World Cup Qualifying counted for nothing when Sabella selected his final 23. Will we see a big name miss out on Australia? Probably not. In fact, a handful of fringe players were sent home early from camp as they weren't going to get playing time in the match vs. Pakistan. Olympic Teamers Ahmed Miary and Mahmoud Abu Warda were longshots to begin with but the Ahmad Abdullah and Houssam Wadi cannot be feeling good about their chances. 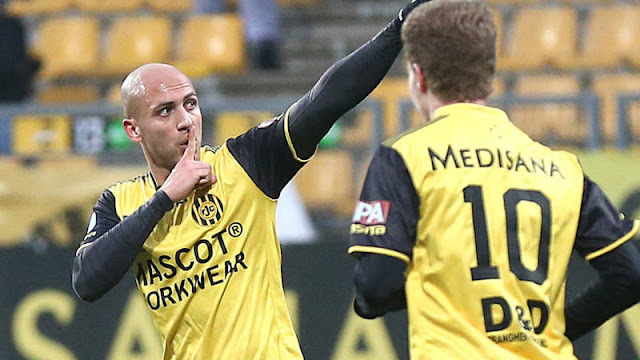 Abdullah was considered a viable leftback option 12 months ago but that was before Abed Jaber burst onto the scene. It's obvious that the managerial team wants to get the young player as many minutes as possible. Wadi might still have an outside chance but Palestine already has plenty of cover. Haitham Dheeb was also amongst those jettisoned but he cited work commitments. Other than Harbi slotting in for Dheeb, the lineups against India and Pakistan were identical. 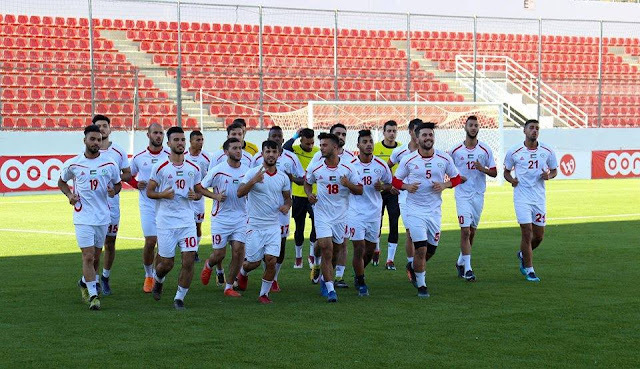 Ramzi, Saleh, Bahdari, Raed Fares, Abed Jaber, Murad Ismail, Khader Yousef, Husam Abu Saleh, Ashraf Nu'man, Ahmed Maher, and Abdelhamid Abuhabib all got two starts during this trip. The only other players to make an appearance were: Adham Abu Rwais, Mus'ab Al-Battat, Hesham Salhe, and Khaled Salem. The most impactful player was Khaled Salem (who is a long shot to make the roster)- whose introduction resulted in Palestine taking the lead in both games. He may not have scored but he did provide us with a glimpse of the work he could do. Needless to say, Palestine could be a lot more attacking with Ashraf Nu'man in space on the wing and a specialist scoring the goals. Hopefully, the inclusion of more players plying their trade abroad makes this aspect of Asian Cup preparation a little more intriguing. PFA puts players and managers in positions to fail. Haitham Dheeb wearing Mus'ab Al-Battat's shirt presumably because the PFA spent money on things other than shirts. It takes 1 hour and 10 minutes to fly from New Dehli to Lahore. It took our national team ten times as long because the PFA couldn't book a direct route. So instead our players flew back to Doha in order to transfer planes and fly to Lahore. Brilliant. This is after they figured out that they could only play half the games they scheduled for this period. Nice. We still don't know who the manager is. Saeb Jendeya doesn't have all his coaching badges so someone else will have to take over from the mustachioed wonder. That is, unless, the former captain can get certified before the start of the tournament in January. There were multiple reports that Ahmed El-Hassan- a manager who had coached at various levels within the PFA structure- had been appointed. Mr. El-Hassan has since issued a denial of the report. All signs point to the inevitable takeover by Abdel-Nasser Barakat but we have yet to see any action on that front.